I have shot so many photos today. At night when I came back home, I found there was a fingerprint on my camera lens. It was smeared by one of my kins. Oh, my god! Help! So many digital camera fans also had this trouble at one time. How to clean it? Now, don't worry. I think you can take out a little cotton stick. Then "Ha, Ha, Ha" on this cotton stick slowly for several times, and it will be wetter. 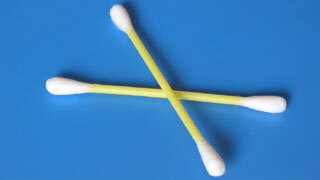 Clean the camera lens with this cotton stick very lightly and carefully. This method is effective, and farthest the camera lens can't be nicked.